For a Bronx boy whose summer days were usually spent on the stoop of his apartment building watching the world go by or, in fits of activity, riding the swings in the park, riding his bike, or immersing himself in the new world of books, or chasing the fireflies in the evening twilight, this was a revelation of another sort. While I was sitting on that stoop looking at the horizon, the astronauts were a million miles away in another world, opening up new vistas for exploration and understanding. Suddenly, that moon that shone in the night loomed larger and was no longer a stranger to a boy’s imagination. It was only a few days before, when a large Saturn V rocket blasted off from Cape Kennedy off the coast of Florida, headed toward its destination, the moon. 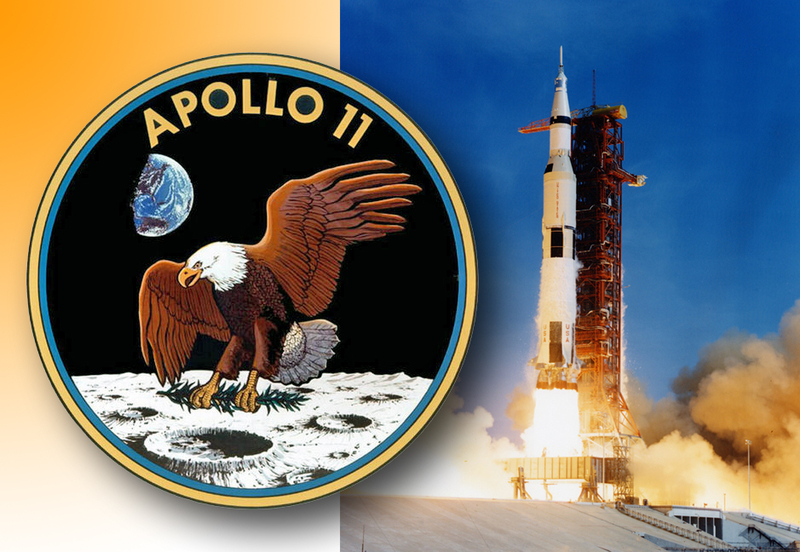 This moon mission, known as Apollo 11, carried three astronauts, Neil Armstrong, Michael Collins and Buzz Aldrin. Astronaut Collins, the mission engineer, had to stay in the dock-up module circling the moon, while the others actually set foot on the moon’s surface. Unfortunately, he never got the chance to have a “moon walk” of his own. All of these events held the earthbound spellbound, including Pope Paul VI in the Vatican—he was glued to his TV set just like the rest of us, enthralled with what was happening in that corner of God’s universe. The Kennedy promise came to fruition just as a tumultuous period was ending, after a decade of accomplishments as well as shocks. And in that most poignant of historical ironies, the promise of that Democratic president was to become reality only in the Republican administration of the man whom he had defeated for the presidency only nine years earlier—his nemesis, Richard M. Nixon. And when that moon mission was over, an American flag would be planted on that lunar surface and a plaque bearing the goodwill of mankind would be left behind with it—but the presidential name inscribed on it would not be Kennedy’s, but Nixon’s. But all of that didn’t matter to that boy in the Bronx (he didn’t know all this—at least not then). What mattered was that he was fortunate to be alive and to be able to witness historical events such as this. I was really fortunate to celebrate that birthday, because I almost didn’t get the chance to have that one—or any one, for that matter. You see, I was born three months prematurely and weighed barely just two pounds and no ounces. To put it another way, my mother said that I weighed no more than a two-pound box of Jack Frost sugar. She often told me that I was so small, that when she held me in her lap, she had to do so with her legs kept at a certain angle in order to keep me upright, lest I fell through in an unguarded moment. If I was in imminent danger of getting a cold, I would start to turn blue and she would get the pediatrician on the double. And if I cried, it sounded more like a quiet whimper. As I got older, I often tried to imagine how difficult it must have been for my parents, Harry and Ellen, worrying whether their premature son would survive. They were hardworking Irish immigrants who met each other at one of those ubiquitous Irish dances in the city when New York was Irish (like the song) and who, as the saying went, had nothing but their faith and a determination to make it in the New World. They were amazed that I survived at all; my first three months of life were spent in an incubator. My life began in necessary accommodations in an upper floor with a river view at a swanky Manhattan address, only that I was too puny and delicate to notice my surroundings in an infant ICU. Through the dedicated assistance of numerous doctors and nurses of Columbia Presbyterian Hospital in Manhattan, I made it through somehow. So I would be given the names Joseph and Gerard (the first for my father’s father, and the second in gratitude for the saint who heard my mother’s fervent prayers) and I started life with that Jesuit connection (which would not be my last). When the time my eighth birthday came around, it was doubly special. I was happy and healthy and did pretty well in school, except, of course, when it came to math. And when that summer July night came and an astronaut walked on the moon, I was on cloud nine. Who could ask for a better birthday present? This was something to brag about. How many kids have the United States government spend millions of dollars and send men to the moon for your eighth birthday and you get to stay up past 10PM at see it live on television on top of having had ice cream for breakfast? It sure beat getting a bike or a transistor radio. The summer of 1969 was the time I wanted most of all to be an astronaut. I didn’t know it at the time, but there were teenagers up in a place called Woodstock having a space trip all their own, while all I wanted was to be put into a space suit and strapped into the cabin and have my hands on the controls and look out that little window and view that magical orb that was called Earth and go off to places where even Captain Kirk could only imagine. To closest I got to that was at Christmastime when my mother bought me an authentic replica of the lunar module, complete with a tiny plastic astronaut attached to a thin wire in order to do the walk in space. If I had only had the foresight to keep my Apollo treasures; I could have made a bundle on E-bay. But those treasures are stored in my memories and there, they have perfect flights. It is hard to believe that it is so long ago now, that July 21st of 1969. The distance in time seems like the distance between the Earth and the Moon was back then —somehow beyond reach. Birthdays come and go, and I am grateful. But even now, I’m still trying to figure out the “why” part of Barclay’s formulation. Somehow, it doesn’t really matter. What matters is that I survived thanks to the love of two wonderful parents who gave me everything I needed and wanted. And through the blessing of that Jesuit priest in the hospital, I was given the grace to believe and to hope. Now, when the quiet of the evening comes and I happen to glance at a starry sky or behold that glowing object of my imagination—the moon—I become 8 years old again and imagine myself the astronaut I had once aspired to be. My spirit soars like that Saturn V rocket through the lunar orbit of my memory, and I am perennially young. Joseph McAuley is an assistant editor at America.